Signup to receive exclusive deals! Get email notifications about any sweet deals, same day specials and more! Buy your next massage online! Great for gifts or appreciation. Instant download! All services purchased online are redeemable at Massage Masters. Get a relaxing massage in Mcallen and Pharr area. 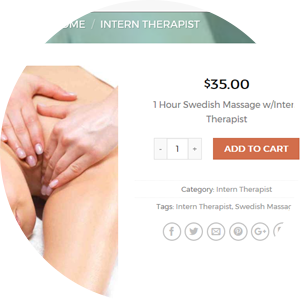 Offering Intern and Licensed Massage Therapists, we offer a wide variety of services from relaxation, therapeutic, prenatal, hot stone and more. Offering basic and advanced massage therapy classes, you can become a Licensed Massage Therapist with our state approved training. Continuing education courses available as well for current LMTs looking to renew their license or learn new techniques. Since 2006 we have been practicing, learning, loving and teaching the art of Massage Therapy. Our own instructors are Licensed Massage Therapists and practice Massage on a daily basis. Buy your next massage online! Great for gifts or yourself. Pay with paypal and simply download, screenshot or print your service voucher. You will be redirected to BuyAMassage.com, a Massage Masters website. Get a great deal with a couples massage for 2 or more people! Offering excellent group rates and deals, this is a great way to relax with a friend, loved one, or co workers. With advanced notification, we can accommodate up to 10 people at once! Let our therapists come to your place of business and re-energize, revitalize and bring your employees back to life. Massages for your staff are great for any work environment including schools, corporate locations, and small or big businesses.